The common oregano (Origanum vulgare L., 1753) is an aromatic herbaceous species belonging to the Lamiaceae family, very used and appreciated in the kitchen especially for its intense aroma. In this sheet we will see how to dry the oregano and the various adoptable techniques. The good preservation of oregano, like other medicinal plants, is important for maintaining and preserving its aromatic and long-lasting properties for a long time. We remember that this plant promotes digestion, has antioxidant and anti-inflammatory properties, helps against colds and sore throats, is antiseptic, analgesic, antispasmodic and much more. This plant that can be grown at home, in suitable environments and in pots, can be used in the fresh state but also dried, to be able to use it in a long period in the following months. The best time to dry oregano is the month of August, when the bloom is at its best and the properties and aromas are at their best. 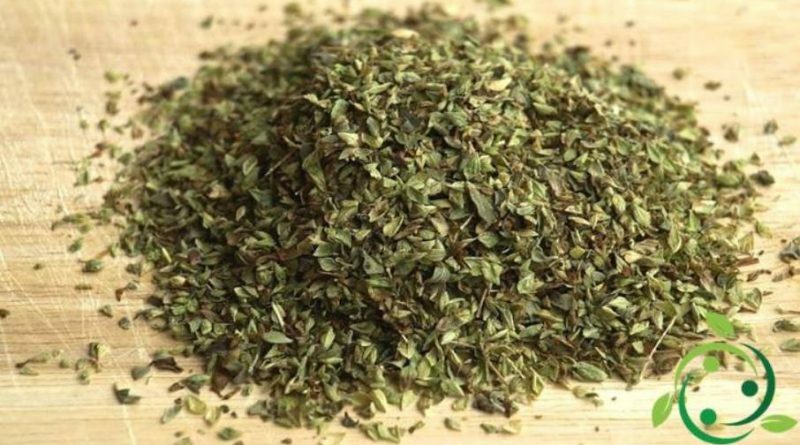 Oregano can be dried indoors, in the sun or in the oven. We see the respective procedures. – for this procedure the oregano twigs are cut and checked carefully, removing the dead leaves and dried flowers. An important operation to do is to slightly shake the branches to get rid of any insects. After which they arrange themselves neatly on a work surface and tie together with a piece of raffia and tie the stalks with the shears, to have bunches of uniform size. At this point we need to hang these twigs in a dark, cool and dry place. After about ten days, the branches can be shelled by placing the leaves in clean and dry glass jars, finally closing them with the lid. However, no one forbids to keep the oregano in bunches, only in this case they must be closed with bags, possibly of transpiring paper and kept always in dry, dark and cool places. In these conditions the preservability and maintenance of the oregano characteristics is about one year. – even here we start from the cutting and cleaning of the sprigs of oregano; in this case it is not essential to divide the branches into bundles but it is sufficient to place them, at a certain distance from each other, on a network with narrow meshes exposed to the sun. The operation takes a few hours, ensuring that during this period there are no moments of humidity, after which the oregano will be dry and ready to be stored. The system of conservation in cans or twigs is always the same. – in this case we have to spread the oregano sprigs clean on a baking sheet, spacing them, as usual, between them; the pan must be placed already in the oven already hot and at a constant temperature of 50-60 ° C at most; the door must be left open to allow perfect circulation and replacement of moist air. At this point you will have to check frequently (every 10 and then every 5 minutes) to understand if the humidity of the leaves is the most suitable, which is understood when the leaves will break easily under the light pressure of two fingers. At this point it can be preserved in the same way as the two previous methods. However, it should be remembered that the oven drying method makes some of its qualities, such as the aroma, slightly lose its oregano.